My 8 year old son went in for dental surgery and had a very positive experience. All the staff were polite, helpful and made him feel very comfortable as well as me being the parent. It was a great experience for both of us. 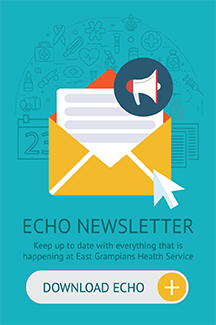 East Grampians Health Service is rich in history with the first hospital built as part of the gold rush in the 1850’s, and today is an integral part of Ararat Rural City. A wattle and daub hut on the Canton Lead (Location of Gum San Chinese Museum) with a bark roof and canvas lining was the only shelter for the sick and injured on the goldfields surrounding Ararat. In August 1858 a committee began to collect funds to build a hospital. The Government reserved a site of five acres on Slaughteryard Hill, and on the 22nd August 1859, Frederick Lowe laid the foundation stone of a thirty-bed hospital. 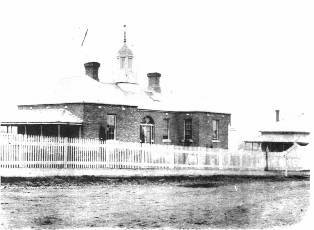 The townspeople of Ararat celebrated the opening of their hospital on 10th April 1860. In June 1885 the Foundation Stone of the second hospital was laid by John Ware of Yalla-y-poora on 24th June 1885. The hospital built twenty-five years previously was condemned and razed to the ground. The new hospital was officially opened on 24th February 1886 by the Hon William MacLennan MLA. Dr George Palmer was the medical officer. An assistant nurse and a laundress were added to the staff. The cost was 4704 pounds and furniture and equipment amounted to 393 pounds. The new building contained two large wards each accommodating ten patients and two special wards which would accommodate three patients in each. This building served as the Hospital until 1937 when a new 3 story ‘Community Hospital’ was built in 1937. It was then used as a nurses’ home until 1951 and in 1953 renovations commenced to so that it could receive 27 infirmary type patients and in 1954 it was reopened for this purpose and given the name ‘Pyrenees House’. Pyrenees House continued in it’s role as a nursing home until 1988 when John Pickford House was officially opened. It was then converted into an Administration Centre. William F Kneebone was the President of the Hospital in 1935 when the Employment Council made an allocation of thirty-one pounds which enabled the Committee to proceed with its rebuilding project. Carnivals, balls and fetes were held to help with the building and furnishing costs. The new hospital would provide accommodation for 72 patients. Public patients would be accommodated on the first floor which will contain a 14 bed mens ward, 12 bed womens ward, 5 bed childrens ward and several smaller wards. The second floor will include the operating suite, small wards for intermediate patients and nine single private wards. 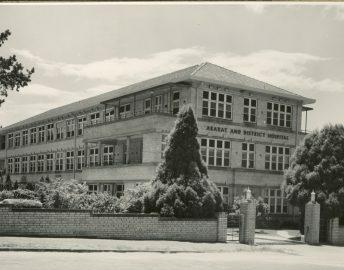 In opening the hospital on 7th April 1937, the Hon A.E. Lind Minister of Lands, commended the people of the town and district for thier efforts to care for the sick and injured. Improvements were made to Pyrenees House, the grounds and staff accommodation and a plan for the remodelling of the main building was adopted. In 1968 work commenced on extensions to the pathology, physiotherapy and outpatients’ departments and administration offices. 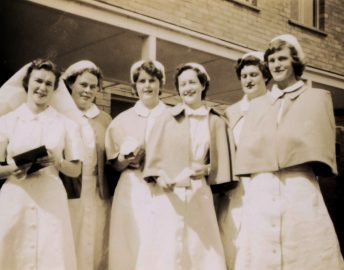 In November 1971, Alex McDonald House, a new wing of the mid-wifery block was opened and two years later a Rehabilitation Day Centre (now known as The Patrica Hinchey Centre) was ready to receive patients.